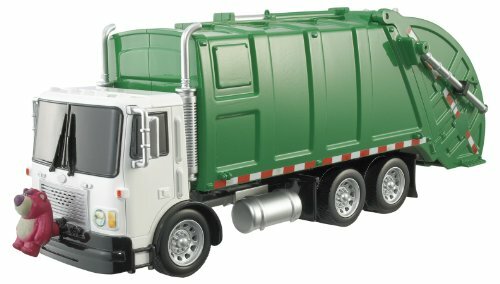 Hours of fun are curbside and ready for pick-up with the Toy Story 3 Matchbox garbage truck. Lotso rides on the grille of the truck and with one push of his tummy he activates sounds and key phrases from the film. The garbage truck door manually opens and closes so more â??surprisesâ? can be stored inside! At 4-inches high, this truck is the perfect size for little hands to â??driveâ? around. Ages 3 and over. Delivery - within 2 weeks for in-stock items.